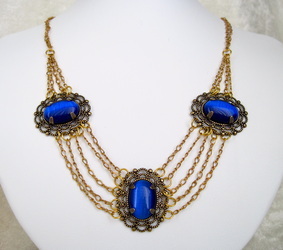 A daring interpretation of Tudor style: brass chains link three filigree medallions, each set with a glowing, deep blue, cat's eye glass cabochon. 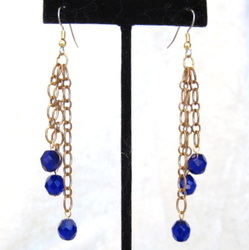 The chains swag gracefully; the matching earrings dance and glitter as you move. 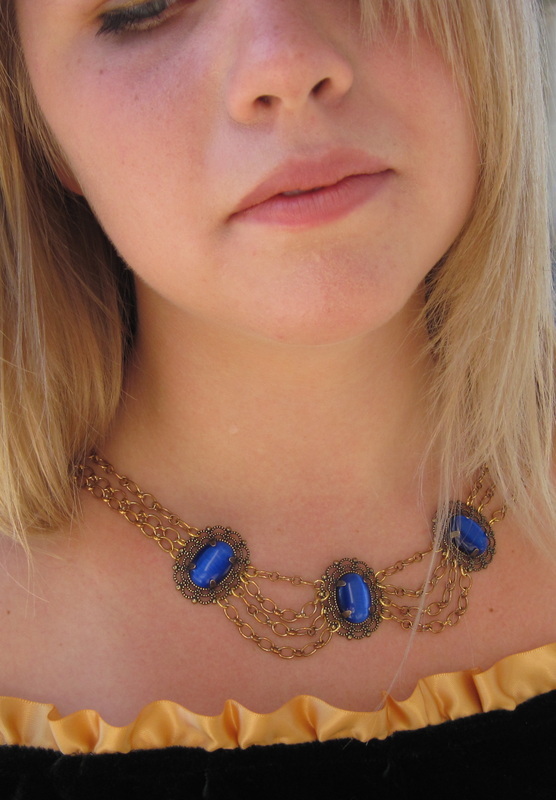 Each piece is hand crafted, the glass is the highest quality Czech. This necklace will complement your finest RenFaire outfit! 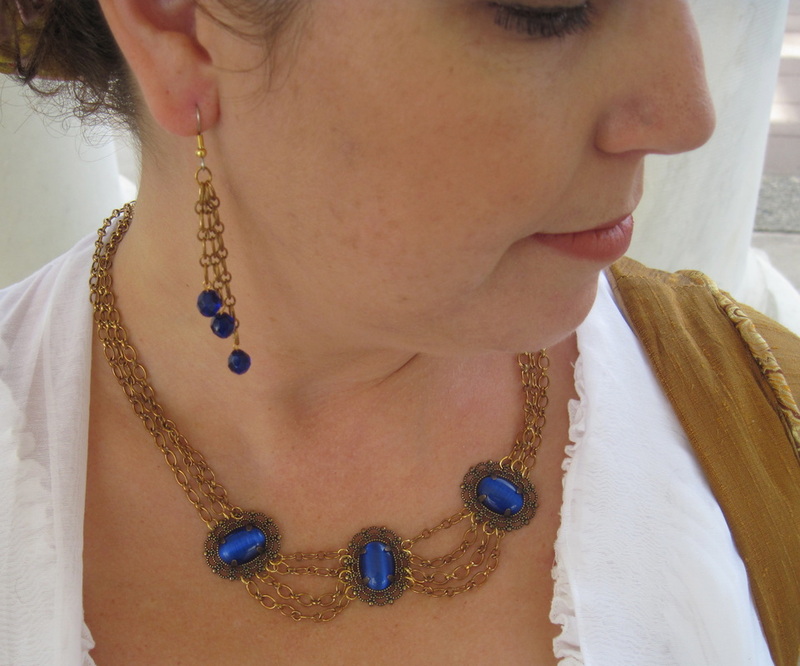 The necklace fastens with a toggle clasp; the earrings dangle a dramatic 2 1/2 inches below surgical steel ear wires. This set is one of a kind - there won't be another like it.